We know that hedge funds generate strong, risk-adjusted returns over the long run, therefore imitating the picks that they are collectively bullish on can be a profitable strategy for retail investors. With billions of dollars in assets, smart money investors have to conduct complex analyses, spend many resources and use tools that are not always available for the general crowd. This doesn’t mean that they don’t have occasional colossal losses; they do (like Peltz’s recent General Electric losses). However, it is still a good idea to keep an eye on hedge fund activity. With this in mind, as the current round of 13F filings has just ended, let’s examine the smart money sentiment towards Abraxas Petroleum Corp. (NASDAQ:AXAS). Is Abraxas Petroleum Corp. (NASDAQ:AXAS) worth your attention right now? Investors who are in the know are in a bearish mood. The number of long hedge fund bets were cut by 5 lately. Our calculations also showed that AXAS isn’t among the (30 most popular stocks among hedge funds). 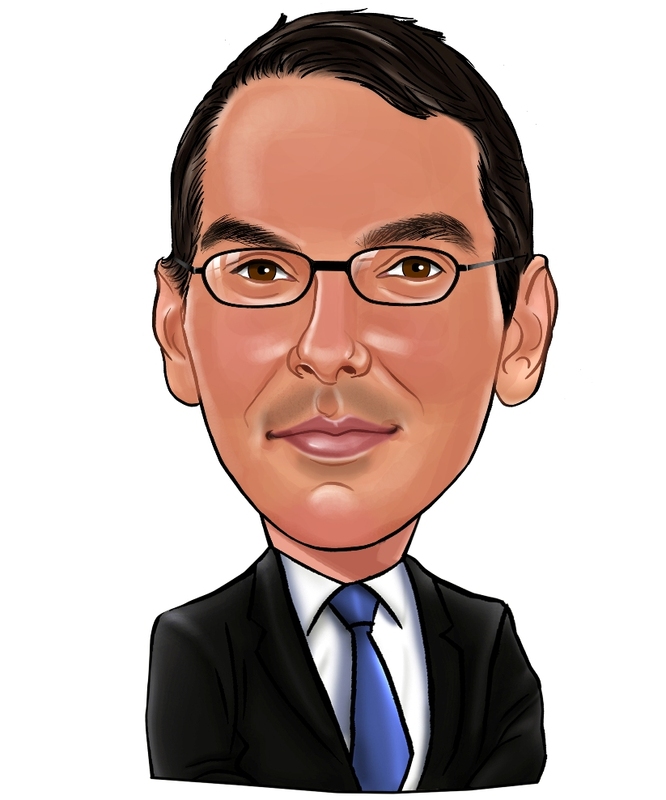 Let’s analyze the fresh hedge fund action surrounding Abraxas Petroleum Corp. (NASDAQ:AXAS). At the end of the third quarter, a total of 10 of the hedge funds tracked by Insider Monkey were long this stock, a change of -33% from one quarter earlier. 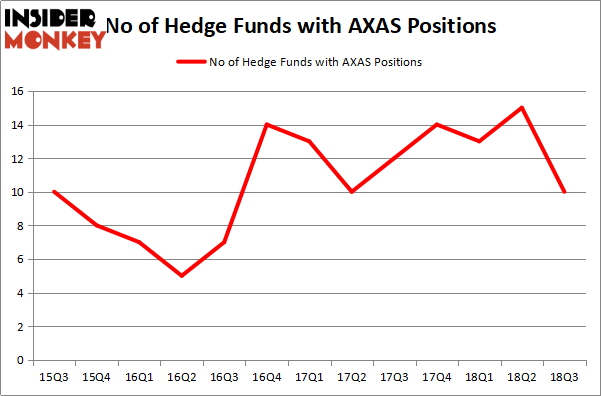 The graph below displays the number of hedge funds with bullish position in AXAS over the last 13 quarters. So, let’s examine which hedge funds were among the top holders of the stock and which hedge funds were making big moves. The largest stake in Abraxas Petroleum Corp. (NASDAQ:AXAS) was held by Mangrove Partners, which reported holding $14 million worth of stock at the end of September. Mangrove Partners also filed a 13G this week disclosing that it owns 5.1% of the stock’s outstanding shares as of November 30th. Mangrove was followed by Portolan Capital Management with a $11.5 million position. Other investors bullish on the company included AQR Capital Management, Two Sigma Advisors, and Millennium Management. Judging by the fact that Abraxas Petroleum Corp. (NASDAQ:AXAS) has faced falling interest from hedge fund managers, we can see that there were a few hedge funds that decided to sell off their entire stakes in the third quarter. It’s worth mentioning that Noam Gottesman’s GLG Partners cut the biggest stake of the “upper crust” of funds followed by Insider Monkey, comprising about $0.7 million in stock, and Thomas Bailard’s Bailard Inc was right behind this move, as the fund cut about $0.6 million worth. These bearish behaviors are interesting, as aggregate hedge fund interest dropped by 5 funds in the third quarter. Let’s check out hedge fund activity in other stocks similar to Abraxas Petroleum Corp. (NASDAQ:AXAS). These stocks are Accuray Incorporated (NASDAQ:ARAY), Pensare Acquisition Corp. (NASDAQ:WRLS), Village Super Market, Inc. (NASDAQ:VLGEA), and Osiris Therapeutics, Inc. (NASDAQ:OSIR). This group of stocks’ market values match AXAS’s market value. As you can see these stocks had an average of 10 hedge funds with bullish positions and the average amount invested in these stocks was $41 million. That figure was $40 million in AXAS’s case. Accuray Incorporated (NASDAQ:ARAY) is the most popular stock in this table. On the other hand Osiris Therapeutics, Inc. (NASDAQ:OSIR) is the least popular one with only 4 bullish hedge fund positions. Abraxas Petroleum Corp. (NASDAQ:AXAS) is not the least popular stock in this group but hedge fund interest is still below average. This is a slightly negative signal and we’d rather spend our time researching stocks that hedge funds are piling on. In this regard ARAY might be a better candidate to consider a long position.